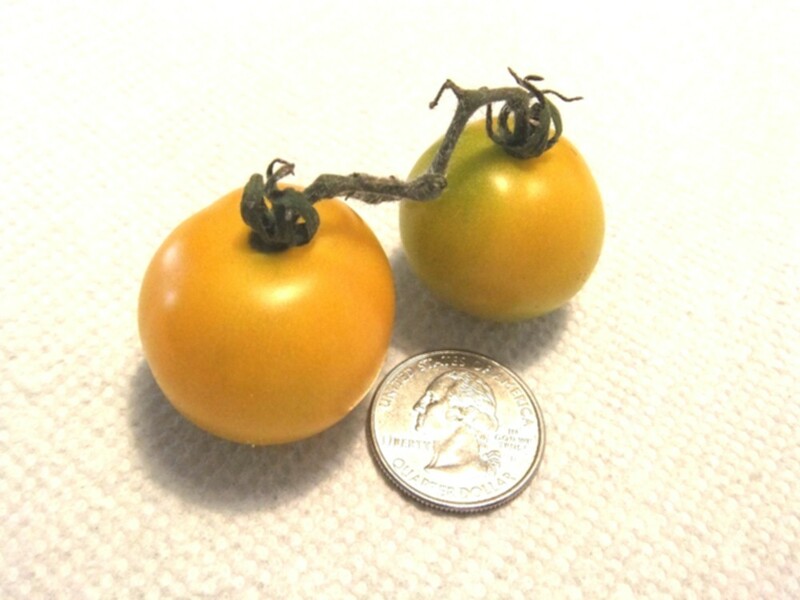 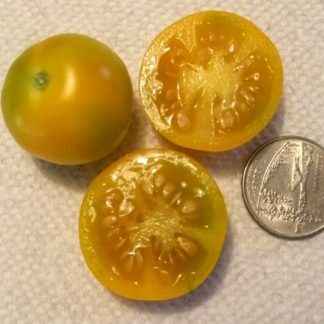 “Tommy Toe Yellow” features heirloom flavor in a small package. 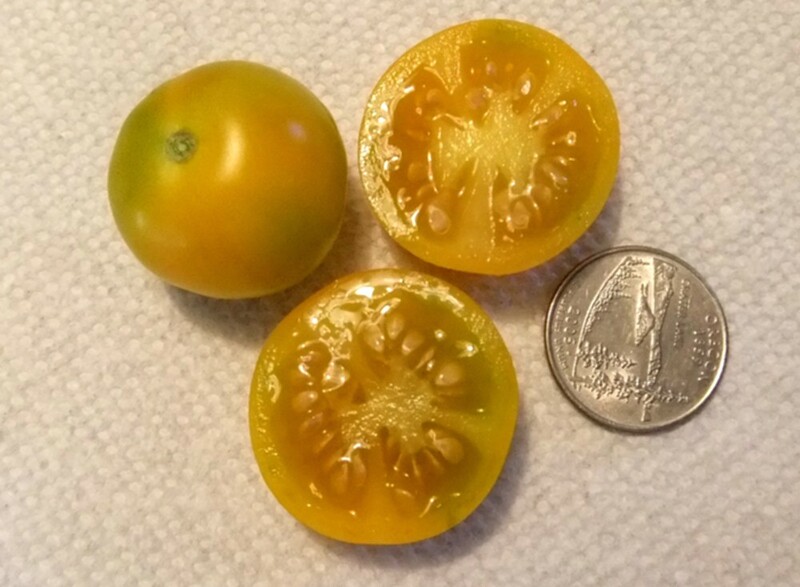 1 ½” globes of pure yellow goodness. 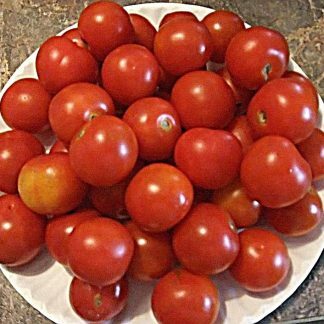 Not bland, they are truly full flavored and look so good in salads and salsa. 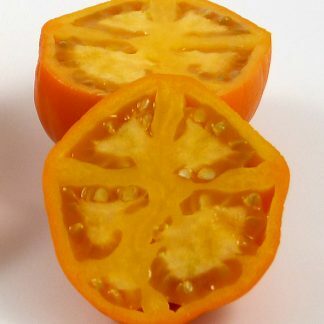 Plant loads up and keeps setting fruit all the way to frost.